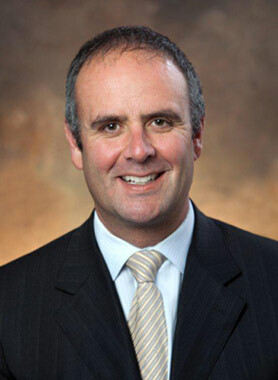 Michael MacSween, Suncor Energy Inc. executive vice-president for major projects is the next speaker in UNB’s Andrews Initiative’s series on Energy and the Environment. Mr. MacSween will present his talk, entitled "Working Together: Creating a Shared Energy Future," on Tuesday, November 12 at 7 p.m., at the Wu Conference Centre Auditorium, at UNB Fredericton. He will speak at UNB Saint John on Wednesday, November 13 at 7:30 p.m. in KC Irving Hall, Room 107. Suncor is Canada’s leading integrated energy company. MacSween will lend his knowledge of the energy industry and share his experience at Suncor, illustrating how companies in the oil sands industry are using technology to enhance production and collaborating to accelerate environmental performance improvements. In his current role, MacSween leads engineering, procurement and construction for growth projects across the company in the upstream, downstream and renewable energy portfolios. Since joining Suncor in 1996, he has held a variety of leadership roles including vice-president, upgrading; vice-president, strategy and development; and, most recently, senior vice-president, in situ. MacSween holds a bachelor of science degree in chemical engineering from the University of New Brunswick and a master of business administration degree from Queen's University. Contact Susan Montague to arrange an interview or obtain more information.